CS121, CS130, CS144 Regulator Plug Adapter 3-Terminal, wo/ Built-In Circuitry for adapting GM CS series alternator to GEO & Toyota vehicles with mating plug. Price: New Design! Add to Cart for Price! Part # 461804 - Voltage Regulator wiring Plug Adapter 3-Terminal, wo/ Built-In Circuitry for adapting GM CS121, CS130, CS144 series alternators to GEO & Toyota vehicles with mating plug. 3-terminal plug adapter w/ built-in circuitry, Delco 1116411 regulator. Universal Alternator Bracket to install Delco, Ford and Chrysler alternators in place of generators that have 2 mounting ears. Ideal for agricultural industrial and older vehicles. Bolts to existing 2 ear generator mounting bracket. With hardware. Curved Belt Tension Extension Bracket. Use with alternator conversions. 1/4" thick x 1-1/4" wide curved end bar. Can be bolted or welded to existing bracket. Unplated for welding. Universal Welding Bracket for Delco Alternators. Install Delco alternators (2" mount) with bracket that can be Welded to customer supplied engine bracket. Unplated for easy welding. Complete with hardware. 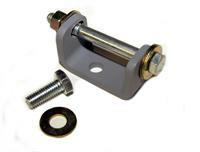 Bracket to install Delco or Ford alternators on vehicles with "Dual Foot" alternators. 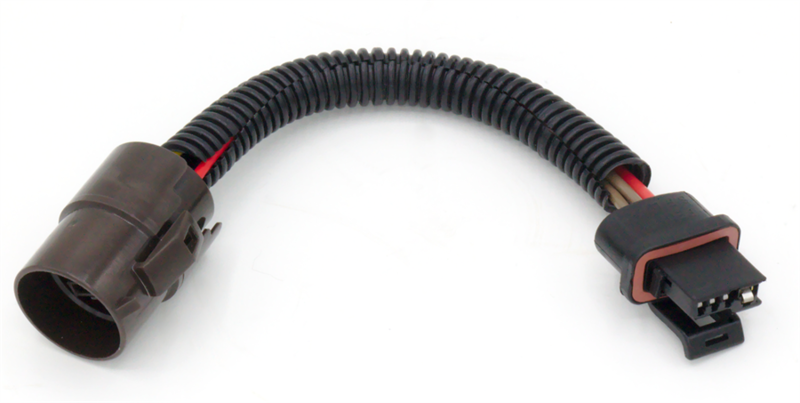 Can be used on Arrow, Colt, Courier, Nissan (Datsun), LUV, Mazda, Subaru, Toyota and industrial applications. Complete with hardware. Universal belt tension extension bracket. Use with the A215 or A220 and other alternator conversion brackets. Design allows angles up to 45 degrees. Heavy Duty Curved Belt Tension Extension Bracket. For "truck type" J-180 alternator installations. Heavier 318" thick x 1-1/4" wide curved end bar. Can be bolted or welded to existing bracket. Unplated for welding. Ford 8N Conversion Bracket to install Delco or Ford alternator on tractors that have the generator on the LEFT side, 1952 and later. Complete with hardware. Delco to Chrysler Alternator Conversion Bracket. Install Delco alternator w/2" mounting on vehicles with early Chrysler alts. Note: Does not adapt tensioner arm, you may need to modify tensioning arm.